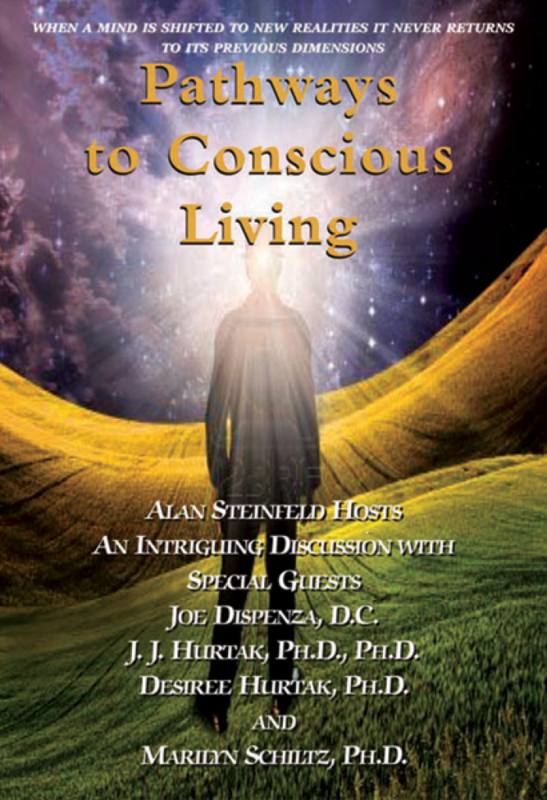 As seen on New York’s Manhattan television, Alan Steinfeld, of New Reailties TV, hosts a dialogue on ‘Conscious Living’ with Dr. J.J. Hurtak and Dr. Desiree Hurtak, Dr. Marilyn Schlitz (Noetic Institute), Dr. Joe Dispenza, D.C. (of ‘What the Bleep do we know?’). They discuss how we can change our minds. They discuss ways of achieving breakthroughs in everyday life, increasing awareness and evolving our brains. Together they discuss their work and experiences in sharing how we can become part of the greater process of transformation.